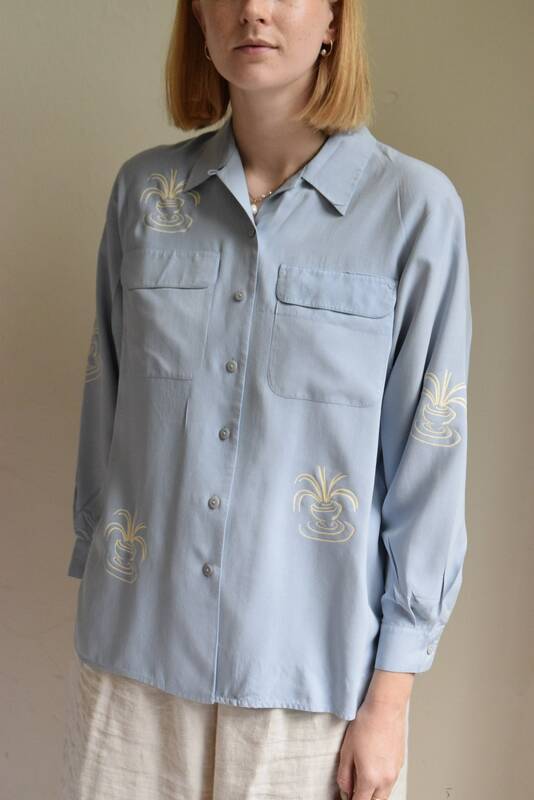 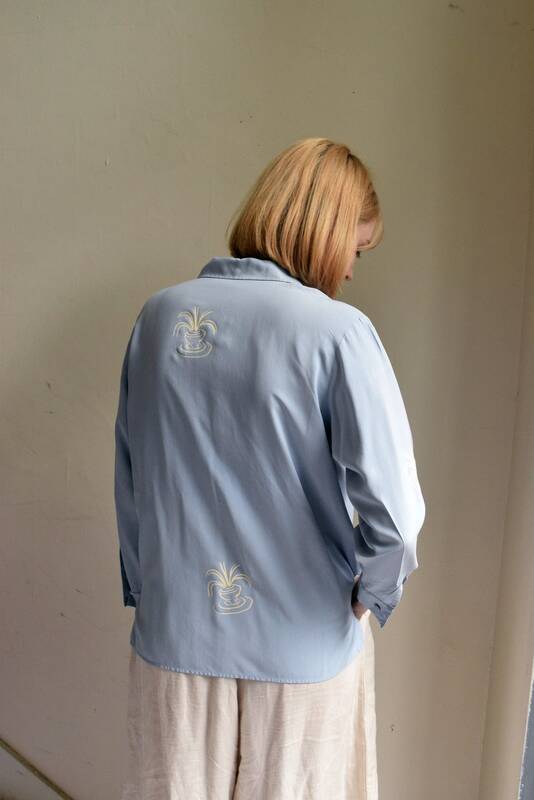 Vessel print in cream on a powder blue colored 100% silk blouse. 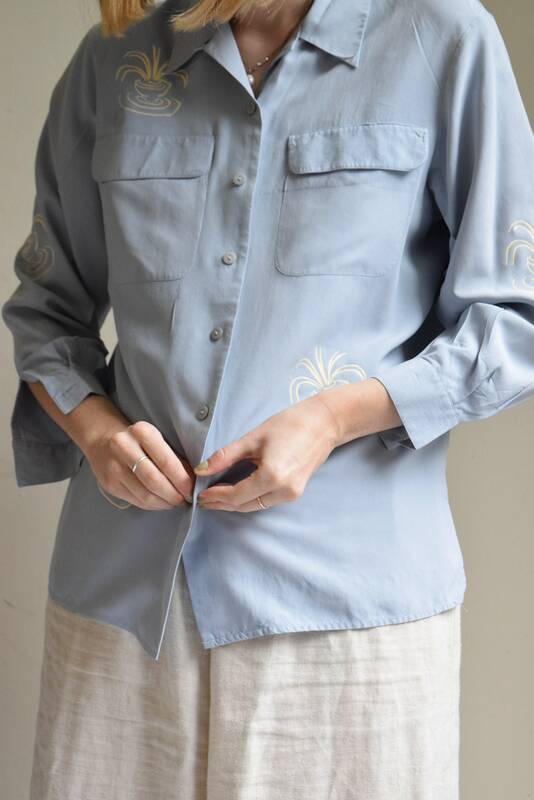 Relaxed cut with two pockets on chest. 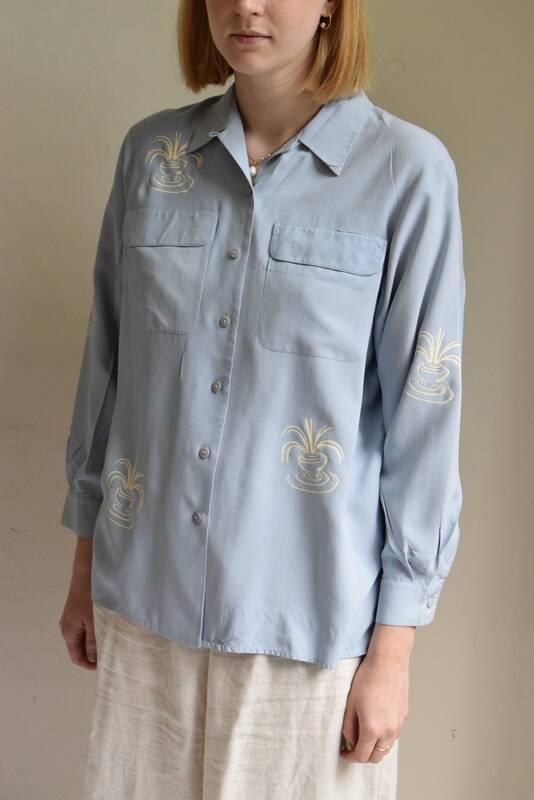 Has collar, long sleeves, buttons up front, and small slits on each side. 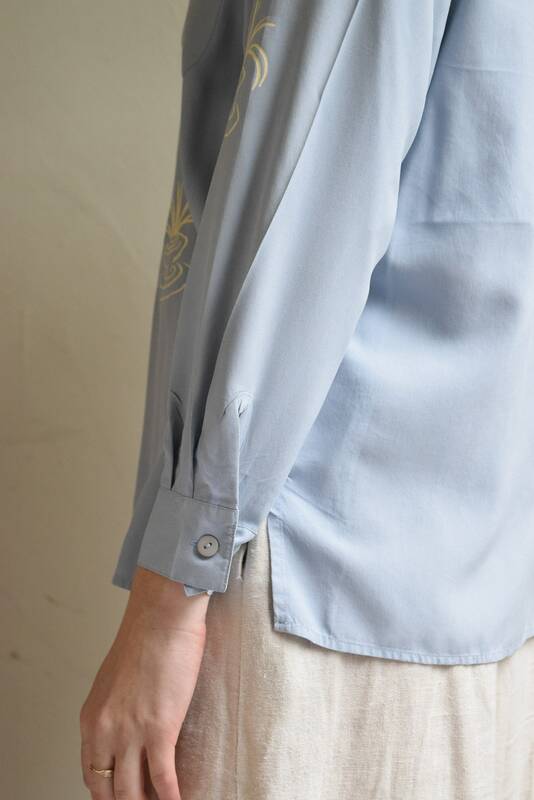 Silk is super soft and lightweight.